That’s right! 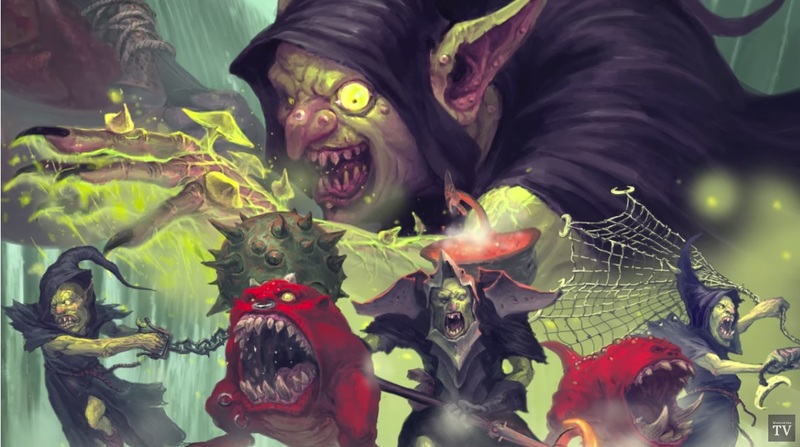 We delve once more into the Nightvault of Shadespire this week to see what kind of souls are currently invading Nagash’s realm, with the foolish hope that they will somehow best the master of Death himself. This week it’s Zarbag’s Gitz, and the Eyes of the Nine, representing Tzeentch and the Moon Clan’s folly. The city of mirrored glass has once again claimed more victims. Though Nagash’s hold on the realm does seem to be loosening–some say that it is merely a part of his plan to lure more souls in, but others say the NecroQuake has loosened Nagash’s iron grip on the Realm of Shyish. Either way, more warriors are pouring into the Nightvault, even if none have yet poured out. The Eyes of the Nine are an interesting force. Emboldened by Tzeentch’s magic, they play like none of the other Warbands out there. They have a couple of heavy hitters; their Tzaangor will put an end to you if he can get in–but they can also control the board like nobody’s business thanks to their ability to summon Horrors to the board. It’s a real interesting terrain/objective grabbing method. They’re all about keeping your enemy locked down. Zarbag’s Gitz on the other hand, are all about making the most out of each activation. 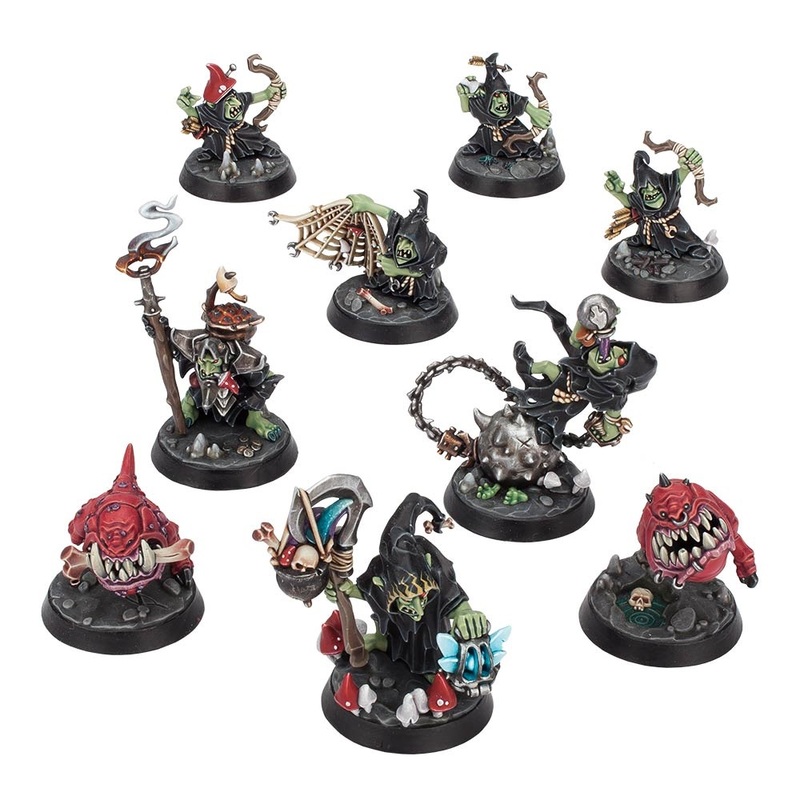 They can be tricky, because it seems like you need a little more finesse than most to get what you want out of them–but Zarbag’s Gitz have some unique activation and movement rules that let them work as one. So when you have Zarbag scurrying around, you have many others following with him, which you’ll need because this Warband has Nine of them. Both Warbands are available now. Which warband will you choose?